Home » Sports » Malcolm Butler to Saints for Brandin Cooks? Malcolm Butler to Saints for Brandin Cooks? According to ESPN’s Dianna Russini, the Patriots are exploring the possibilities of trading Malcolm Butler to the Saints for Brandin Cooks. Evidently the reported signing Stephon Gilmore may have been step one in a larger plan. The Patriots were linked to trade rumors involving Cooks during the Combine, reportedly offering a first-round pick in exchange for the young wideout in addition to a lower pick. The latest rumor comes on the heels of Gilmore’s signing, which has been reported to be in the neighborhood of five years and $70 million. Butler is a restricted free agent and received a first-round tender from the Patriots, which calls for $3.91 million in 2017. Butler is presumably hoping for a long-term extension, and reports on the situation indicate a lack of progress in that direction. With Gilmore on board, the Patriots could view it as leverage and therefore could be content to lose Butler. Cooks is a dynamic slot receiver with big-play potential who has the ability to catch the ball outside the numbers as well. Of course, it could also be an effort by the team to exert more leverage on Butler in order to get a deal done. We’ll keep an eye on this one as the day continues. The New England Patriots are reportedly considering a trade of cornerback Malcolm Butler for New Orleans Saints wide receiver Brandin Cooks, according to ESPN's Dianna Russini. New England has reportedly added Stephon Gilmore, the top free-agent cornerback on the market, to its secondary, a move that could make Butler expendable. Butler, the hero of Super Bowl XLIX for intercepting Russell Wilson at the goal line, has developed into a front-line cornerback for New England. The West Alabama product has started all 32 games for the Patriots since that Super Bowl, making six interceptions in two seasons, including four in 2016. New England placed a first-round tender on the restricted free agent, meaning a team would have to give up a first-round pick to sign Butler, who has made it no secret that he wants a new deal. But it may still take more to get Cooks, who has been the subject of trade rumors ever since the NFL scouting combine last week. ESPN's Chris Mortensen, the man who first broke the news that the Tennessee Titans and Philadelphia Eagles were interested in trading for Cooks, reported shortly after Russini that the Saints are still looking for a defensive starter and multiple draft picks, maybe over two years, to get the Saints wide receiver. Cooks, who has posted back-to-back 1,000-yard seasons, hired high-power agent Ryan Tollner in the offseason, and he's been vocal about his frustration in the Saints offense. 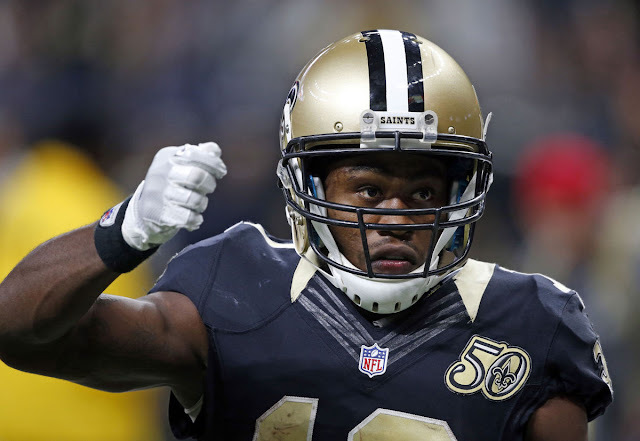 New Orleans coach Sean Payton and general manager Mickey Loomis have both said the asking price for Cooks would be high, and the Saints could still be fielding offers from the Titans and Eagles as the opening of the new league year approaches at 3 p.m. on Thursday. No trades can be consummated until then. 0 Response to "Malcolm Butler to Saints for Brandin Cooks?"